I'm Phil. Born in Nottingham in 1988 I grew up in the North East of England, going to high school in Morpeth. I attended Durham University and studied Maths from 2006 to 2009. After graduating I spent 6 years playing poker for a living. During that time I lived in London and travelled around the world to play. I have always loved maps and followed politics closely so decided to combine the two and make a set of interactive UK Election Maps. In my spare time I enjoy hillwalking, amateur astronomy and playing Hearthstone. In September 2017 I started woring as a software developer and due to that and various other things this site has been neglected. I will not have time to do anything for the US mid terms this year. However, I will (hopefully) be moving house before the end of the year and after that I should be able to find more time to start updating / expanding the site. 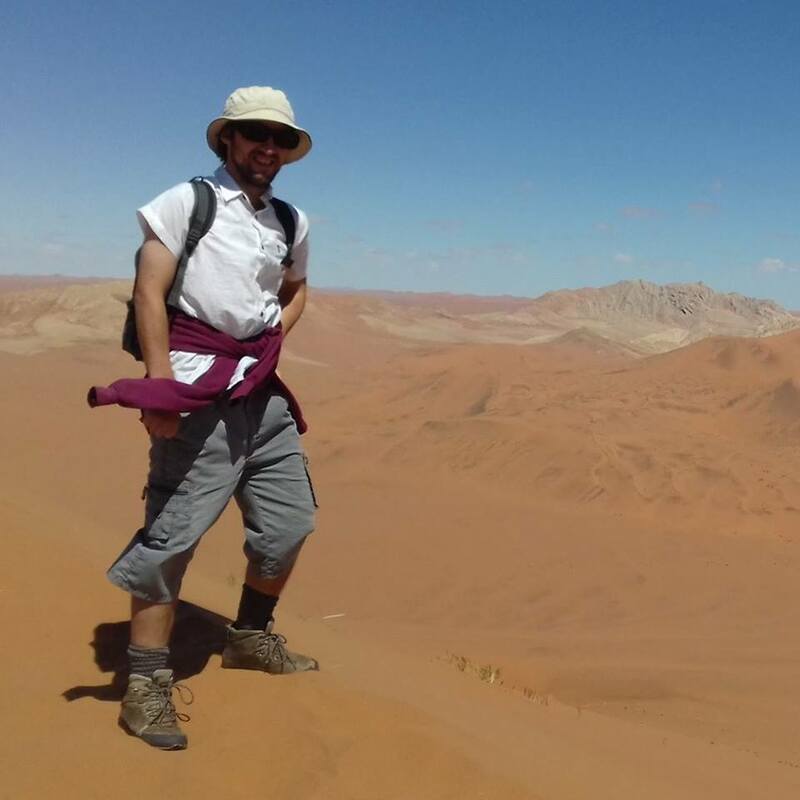 On top of a sand dune in Namibia.